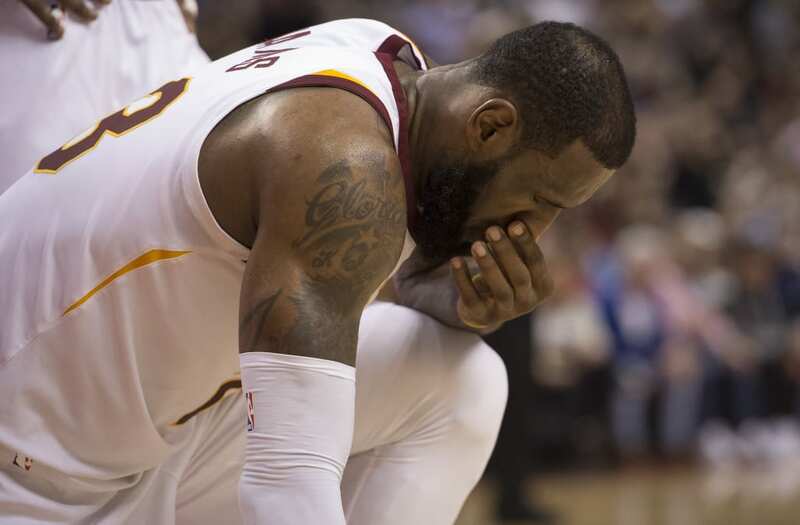 The Cleveland Cavaliers got a brief scare in the first quarter Sunday when forward LeBron James left with an apparent injury to his right knee. James limped to the bench after being called for a charge when he barreled into Aron Baynes with 5:04 remaining in the first quarter of the nationally televised game against the Boston Celtics at TD Garden. He limped to the Cavs' bench and was worked on by trainers while resting on the table next to the bench before eventually taking a seat. James, who turned an ankle in Friday's 123-107 victory against the Atlanta Hawks, returned to the game in Boston with 8:58 to play in second quarter. A 14-time NBA All-Star, James was averaging 26.4 points, 8.9 assists and 8.1 rebounds through 54 games entering Sunday's game.